Stampin’ Up! colors Tempting Turquoise, Certainly Celery, and Pixie Pink (retired), paired with black and white. Even though that pink is retired, I think this combo would probably work well with Melon Mambo, or a similar pink found at a craft store. 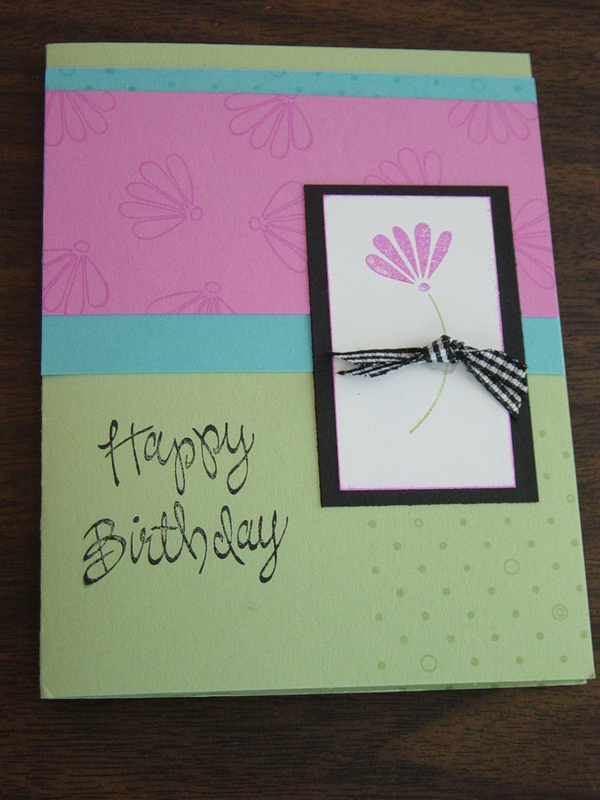 The images for these cards are from retired sets: Looks Like Spring and Polka Dots & Paisley. Sentiments from retired set A Greeting for All Reasons. Flower punch also retired.